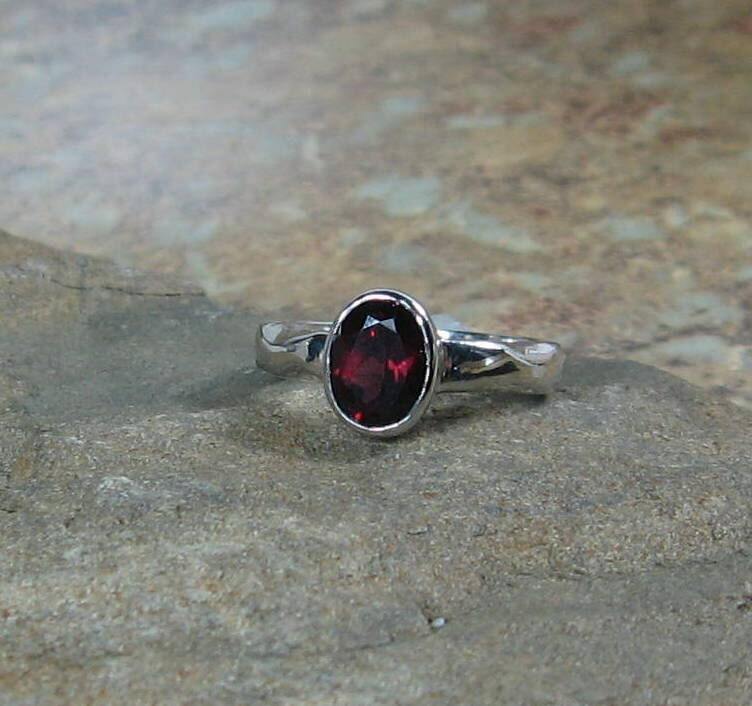 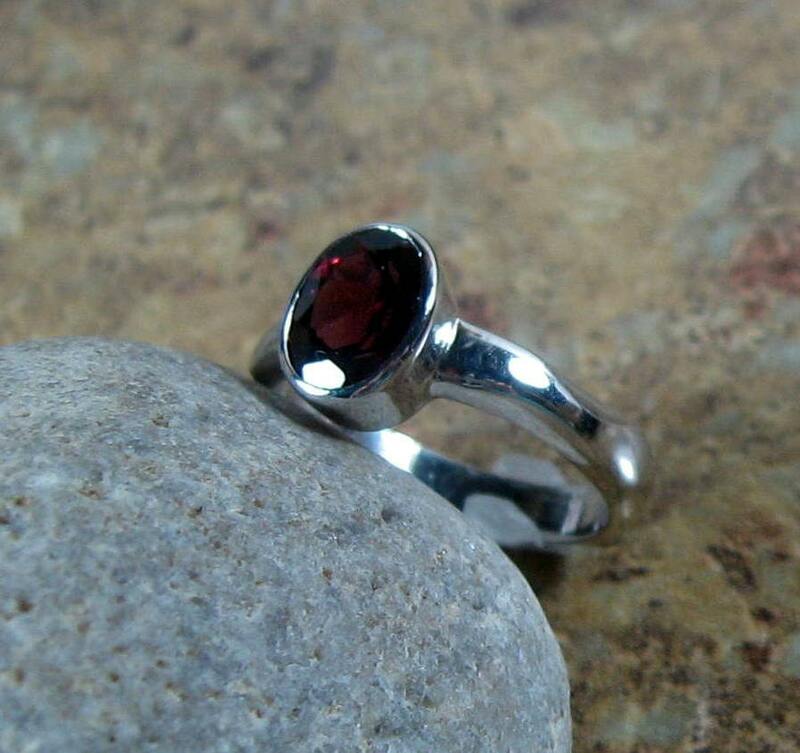 A beautiful 8x6mm oval cut Garnet gemstone set in a Sterling Silver hand carved wavy band for an organic feel. 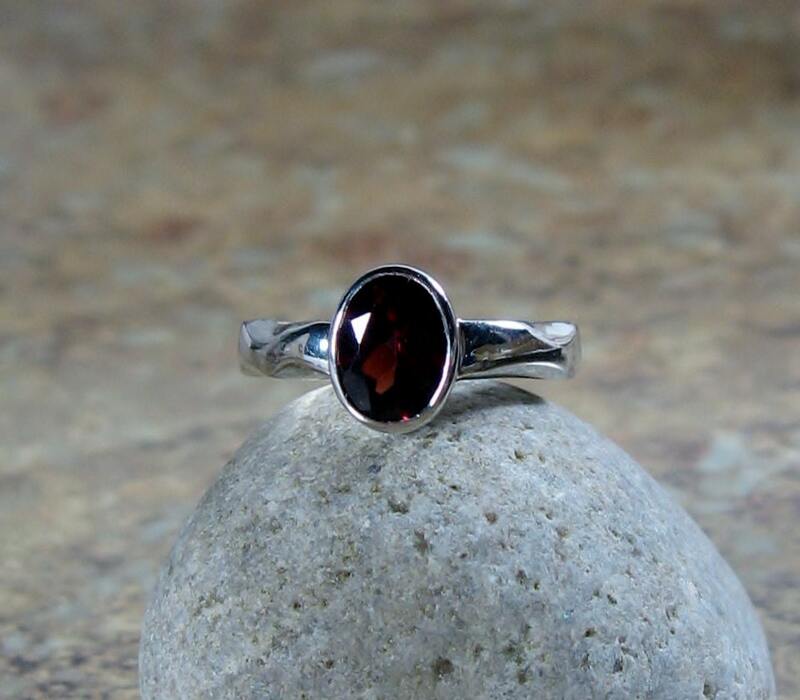 The garnet gemstone is deep red, sparkling, and set in a bezel. 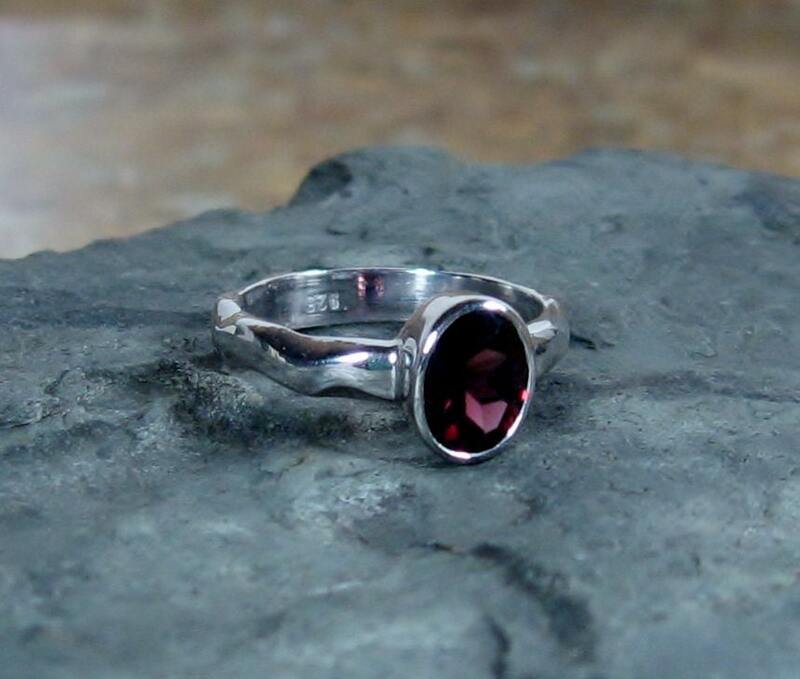 The band is 3mm at the smallest points and 4mm at the largest. 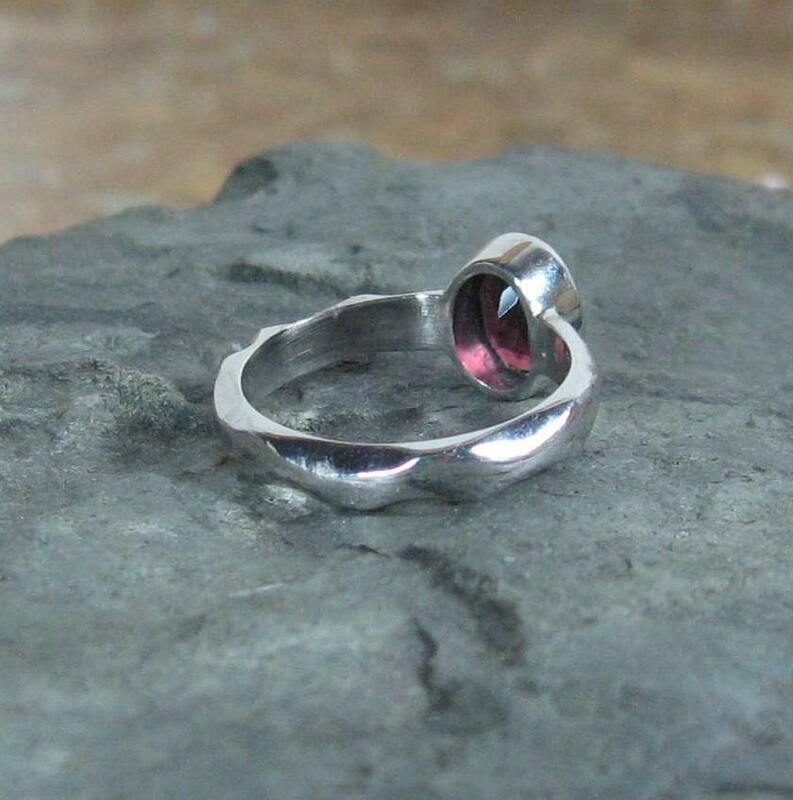 Highly polished and comfortably fitting.